Back in the day, my parents always went out of their way to make sure that I had dolls that looked like me, even though they were usually just brown versions of white dolls. I clearly remember having a chocolate Raggedy Ann cake for one birthday and a mocha-colored Cinderella for another. It was definitely a conscientious choice on my parents' behalf, as both of them had grown up during the turbulent 1950s and 1960s and we were in the midst of the Black Power era of the early 1970s. My mom and dad knew that it was important for me to develop a positive self-image as a young girl, as my ability to do great things as an adult would depend upon a healthy dose of self-esteem. As our nation has become more diverse, big corporations have begun adding larger slices of color to their product mixes as a means of reaching the masses who have money to spend and want to be represented in the marketplace. Mattel, in particular, has carried a multicultural array of dolls for many years, and most recently enlisted the aid of designer Stacey McBride-Irby to create the "So-In-Style" line of "brown" dolls. Unfortunately, they fell short when it came to expanding the brand to include other products. 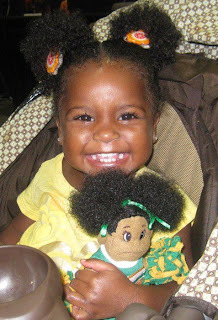 Positively Perfect dolls by EPI are geared toward African American and other children of color. 4KidsLikeme offers dolls and toys for AA, Hispanic, Asian, and biracial children. The Mixis fashion dolls include a line of mixed race dolls specifically designed for the other under-served community of girls of color whose parents might also find it difficult to locate dolls that reflect their child's image. 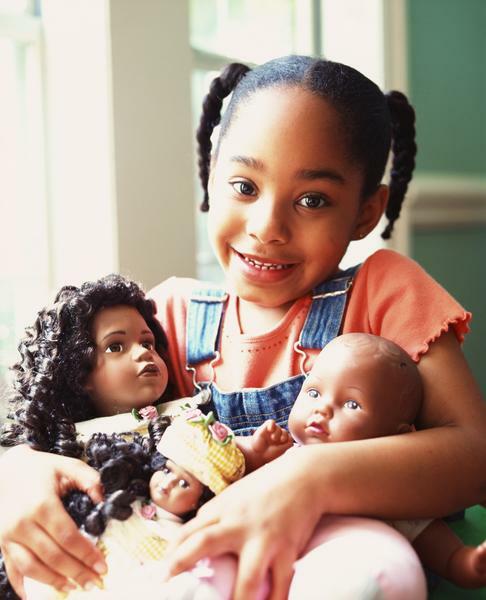 For other information on black dolls in general for the adult collector and/or parents seeking to provide African American/black dolls for their children as one tool of promoting a positive self-image, visit and/or follow my Black Doll Collecting blog. Thanks so much for your information! I love your blog! Marcie, I was googling people and organizations doing work around self-image and youg girls of color and I clicked on your site, only to find my story here! Thank you so much for bringing attention to this issue and putting it in the proper context. You now have a new fan! You are so very welcome, Karen! Thanks for the inspiration! Let me know if there is anything else that I can do in support of the cause!